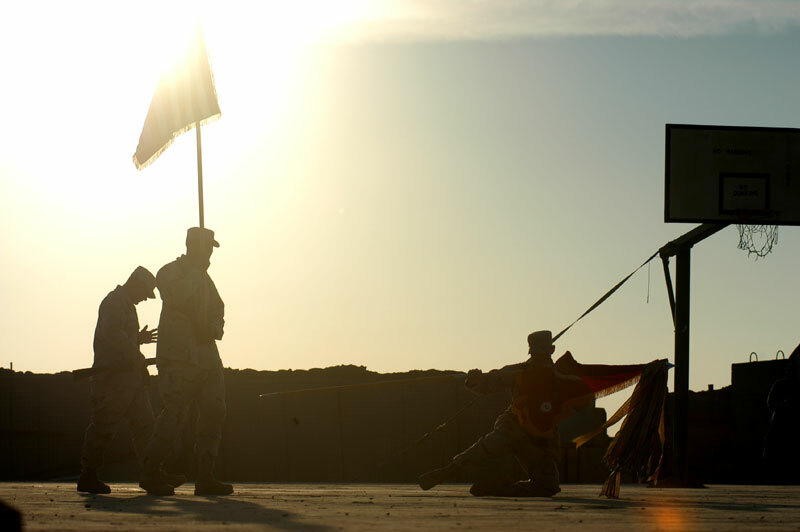 Even though we are in a combat zone, the ceremonies just don't stop. Particularly ironic about our combat patch ceremony, where we recognize having been in a combat zone, we received an indirect fire attack--some mortars landed on our base. Everyone present heard the whistle over head and hit the ground. After the rounds impacted elsewhere on the base, we picked ourselves up and continued the ceremony. A couple minutes later, we heard more explosions and whistles and hit the ground again. We immediately figured out that it was our own guns shooting back at the mortars.